Central Sydney Planning Committee in 2014. Green Square urban renewal area costing $530 million. University of Sydney’s master plan costing $97 million and a hotel-residential development on Kent Street costing $100 million. 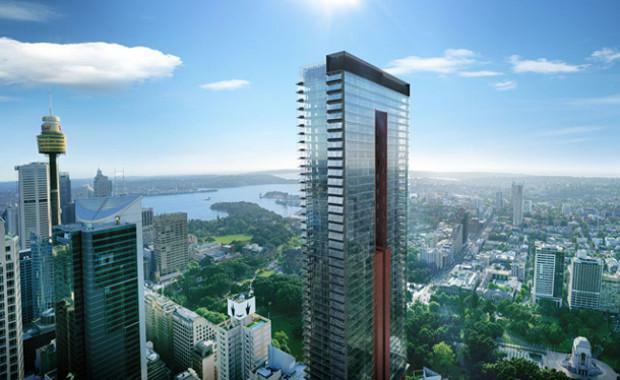 Two developments will be over 230 metres high, another will be 235 and a residential tower on George Street designed by Crone Partners will be 260 metres. Sydney Lord Mayor Clover Moore said there were 20 development applications in total approved by the Committee last year which would ultimately create more jobs, attract investment and increase residential and commercial floor space. “This record year of private investment and development comes ahead of work beginning on the extension of the light rail network. The City has committed $220 million to this project, which will be the biggest change to Sydney's transport in generations," said Cr Moore. "The light rail project will give Sydney a world-class main street and support new flagship retail outlets, premium-grade office buildings, and cafés and outdoor dining. We're already seeing businesses flock to George Street in anticipation of the benefits it will bring. "Members of the Central Planning Committee are Lord Mayor Clover Moore, Councillors John Mant and Robert Kok, and NSW Government representatives Gabrielle Trainor, Carolyn McNally and NSW Government Architect Peter Poulet.